What’s for dinner? That is the million dollar question at my house each night! I know first hand how hard it is to get a healthy meal on the table each night. I know even more how hard it is to get a healthy meal on the table that everyone likes! This is a common struggle for so many of my clients and it is a pain point that I work hard to address in my seven week program LEAN, Living Energized and Nourished. One of the ways I do this is to provide a comprehensive, 6 week meal planning guide with your enrollment in LEAN. This guide gives you weekly recipes suggestions including one lunch option and three to four dinner options for each week! The guide also provides the weekly grocery list AND detailed instruction of what to do on Sunday to help get these healthy meals on the table quicker during the week! For many this is the game changer to making healthy eating so much easier! Learn more about LEAN here! Finding yummy recipes that keep you on track with your weight loss goals can be a challenge! However, I have the tools to make it easier for sure! 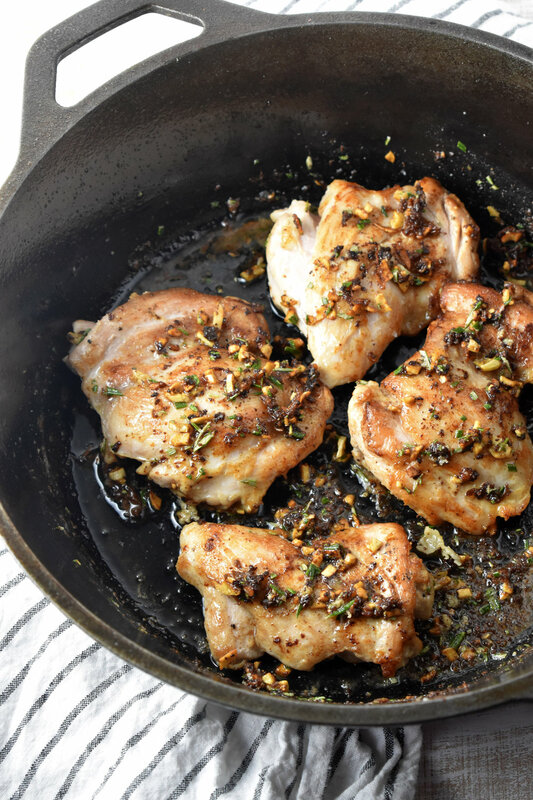 Like this simple, healthy but oh so yummy recipe, Easy Lemon Garlic Chicken Thighs. This recipe, developed by Carolyn Williams, PhD, RD, can be found in one of our four week meal planning guides! 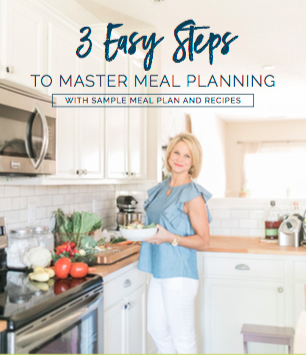 These meal planning guides would make the best stocking stuffer for loved one looking to dial it in, in 2019! 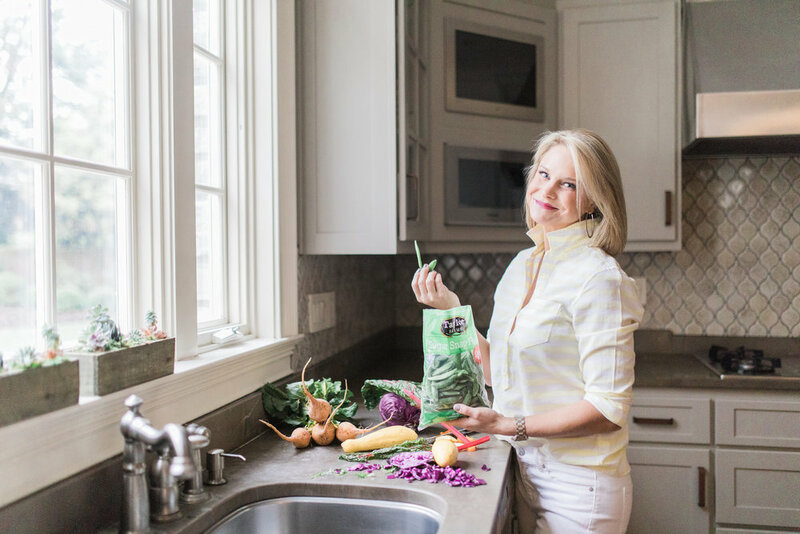 Just like the guide you receive with the LEAN program, these guides provide multiple recipes for each week, detailed shopping list and all the info to pre prep on the weekends! As a holiday bonus Carolyn and I are giving away this yummy Lemon Garlic Chicken Thigh recipe featured in the volume two meal planning guide for FREE! This is sure to be a family favorite! Did I also mention that our four week meal plans give kid tips? These kid tips, as seen below, make adapting these recipe so simple for the whole family! Let me know what you think of this recipe and be sure to tag us when you make it! So many awesome things in store for 2019! I look forward to helping you all reach your health and wellness goals!